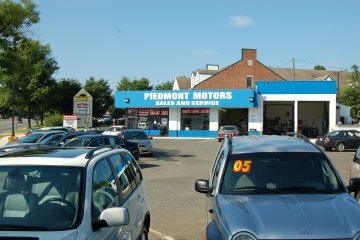 Welcome to Piedmont Motors - Affordable Quality Autos & Service With 30 years of experience in automotive sales and service, we hand select each and every vehicle that we purchase. We put these vehicles thru a rigorous check out in our service department to make sure everything is in good working order and fix whatever is needed before putting it up for sale. Only the best of the best makes it onto our lot. Guaranteed!! We also offer 100% GUARANTEED CREDIT APPROVAL.